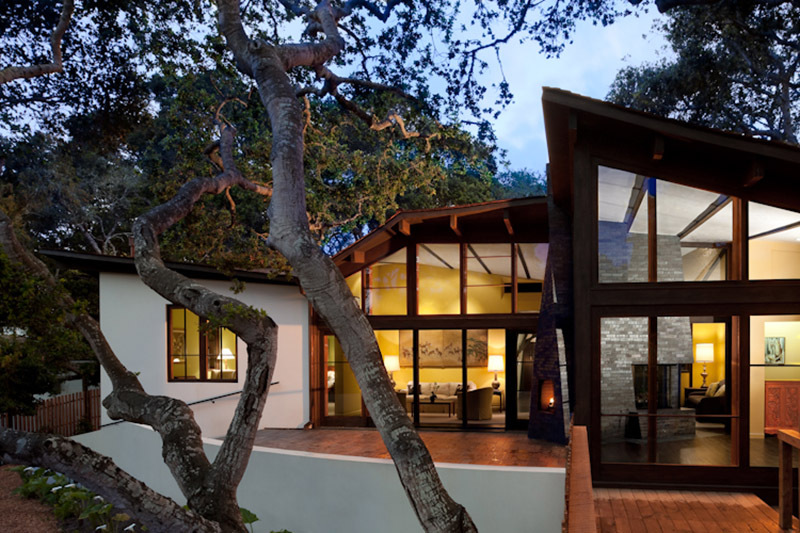 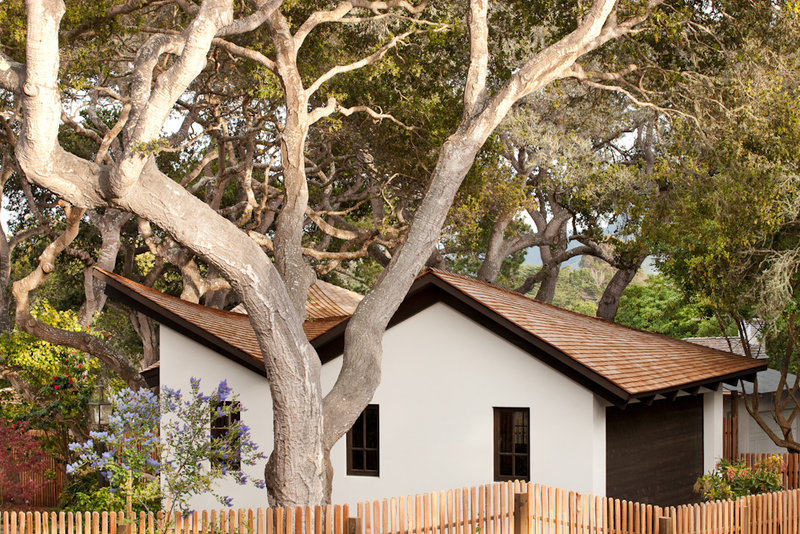 A single family home built on a sloping site under a dense canopy of coastal oak trees. 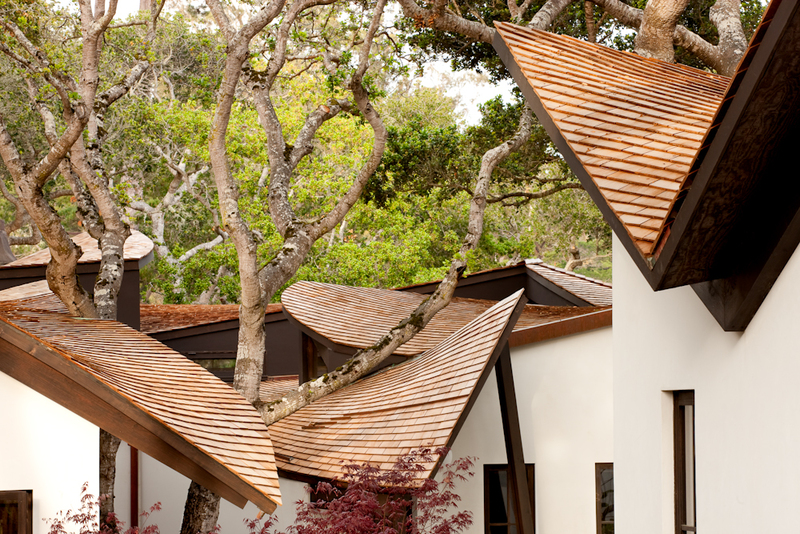 Rigorous local planning requirements and an existing foundation system were leveraged to create a straight-forward appearance that masks spatial complexity and dynamic form. 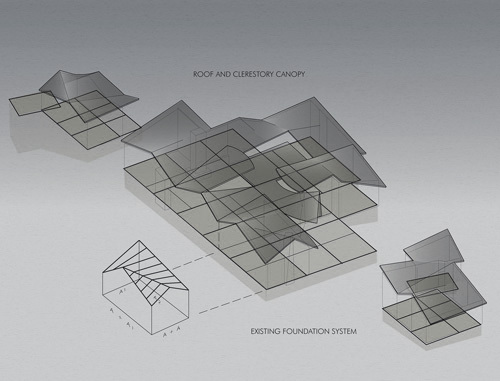 Harnessing the possibilities of normative building materials and technologies to achieve variation, performance and dramatic beauty. 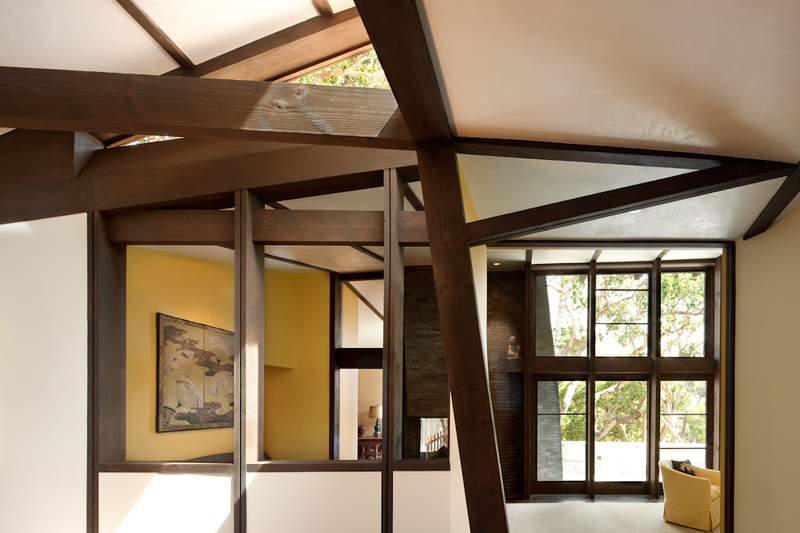 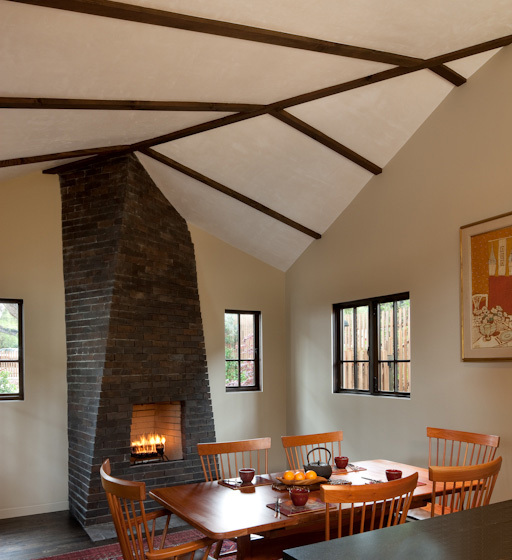 The timber-framed canopy roof undulates among the tree limbs and opens to allow natural light to permeate the interior of the home. 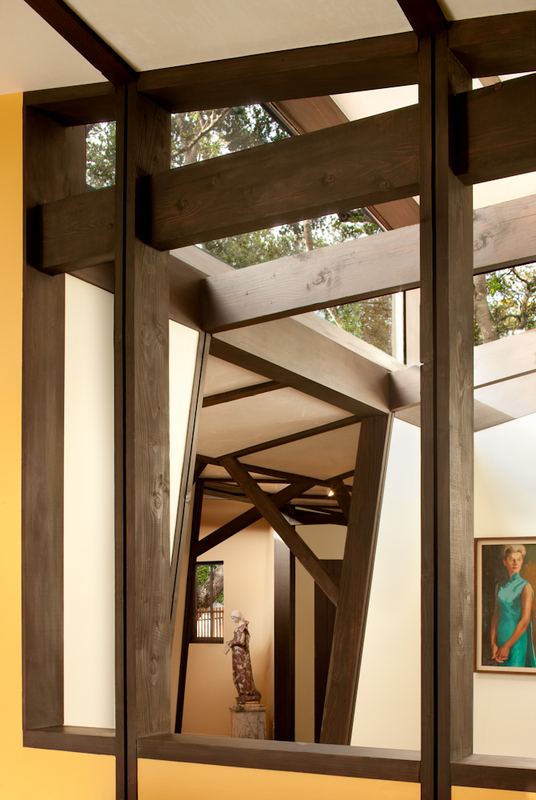 These clerestory apertures also encourage views of the trees and capture the changing light that filters through. 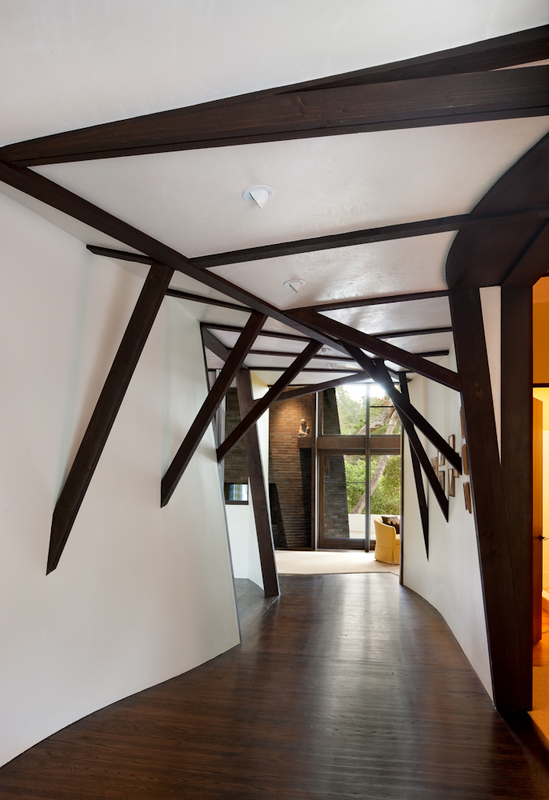 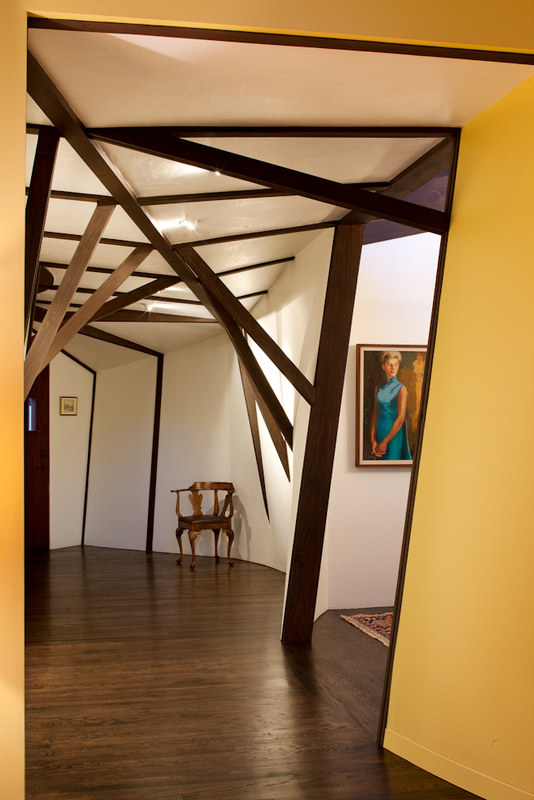 Hyperbolic surface geometries create complexity while remaining in the realm of efficiently familiar construction practice.